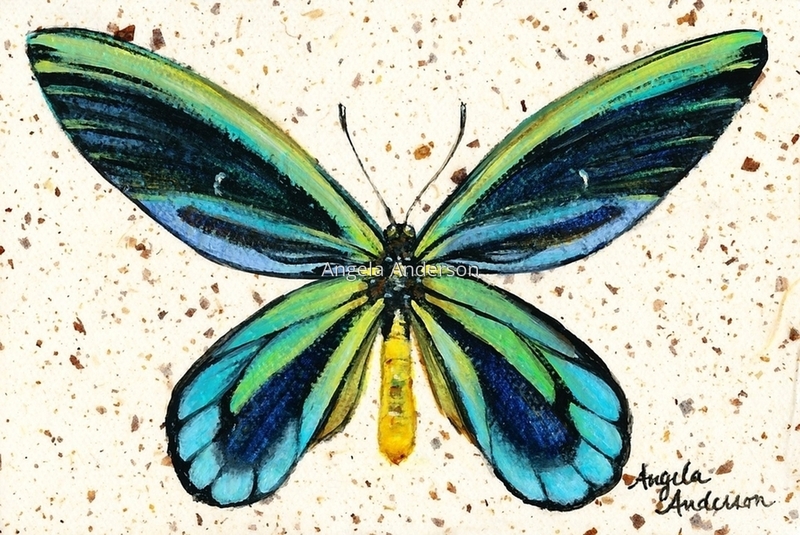 Original acrylic painting of a Queen Alexandra Birdwing Butterfly. Painted on a gallery wrapped canvas. 5" x 7.5"6" x 9"7" x 10.5"7.75" x 11.5"